Burlington Bees - Fresh Fitted Friday!!!! You guys, the Houston Astros are in the World Series right now! I'm not going to say I told you so, but I did tell you so and if you don't feel like reading that entire post where I told you so, I'll give you the quick and dirty: I told you so back in March! One thing that's more important than being right about telling you so is that I want the Dodgers to lose this series so I'm doing my part to root on the Astros by featuring a hat from a team that plays in a city which once hosted an Astros affiliate: the Burlington Bees. This is a brand new addition to my collection and it is certainly going to be one of my most cherished caps as it was a gift from my wife, whose nickname is Bee! How cute is that, y'all? This is the Bees' official on-field road cap and I prefer this one more than the home version which has the same purplish blue crown but with a yellow gold bill. The Burlington Bees are currently a Class-A affiliate for the Los Angeles Angels however I'll always associate the city with Houston as I have lots of Burlington Astros cards from 1991 and 1992, which is when I really got into minor league baseball. 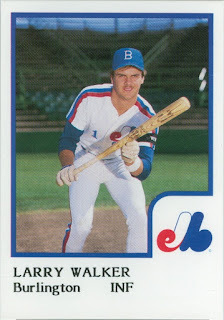 I like cards where guys have unusual names, funny eyebrows, cool facial hair, a weird look in their eyes but I chose this card because it has all that and more. 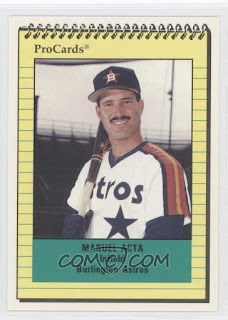 A neat fact about this Manny Acta card is that even though he was only 22 when this photo was taken, it was his last card as a player. While it lists him as an infielder, he was actually a player-coach in 1991 and he shifted to coaching full-time after that season. 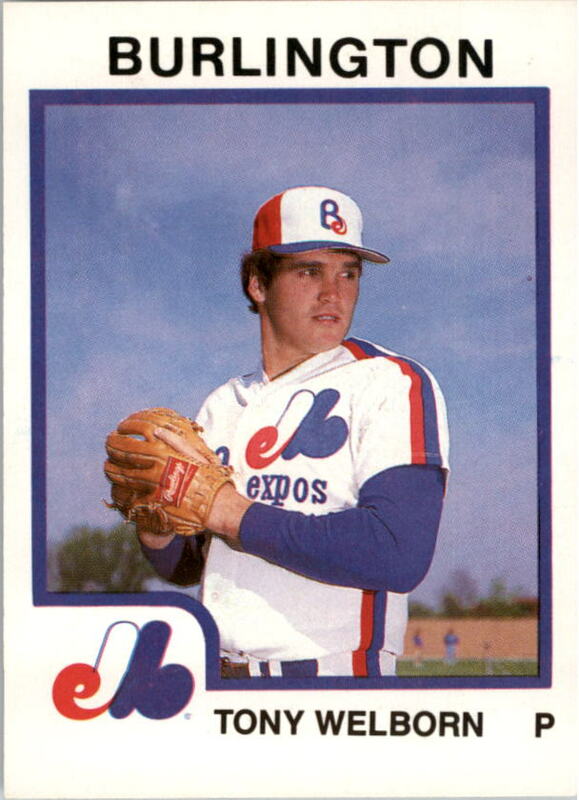 Last week when I showed the reverse-image Mike Dull card, I said I wished Montreal had a minor league team in a city that started with a B but I guess I totally forgot about the Burlington Expos! Above you see Larry Walker showcases his fine bunting ability but the B on his hat is definitely wack as it's giving me Brooklyn Dodgers vibes. Now the hat in the card above is not the lowercase B that I was hoping for but it's pretty cool regardless. 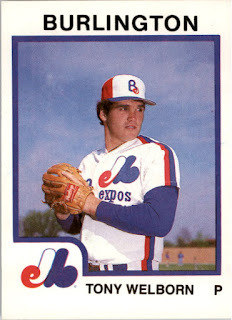 It's interesting that even though the Expos were only in Burlington for two seasons in 1986 and 1987, they had two different caps. Not bad for Class-A ball, right? Remember baseball's most historically superstitious player, Turk Wendell? 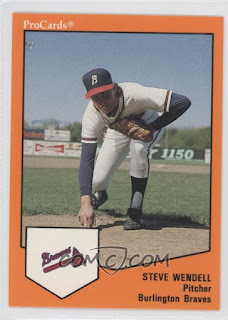 I do as I was lucky enough to get his autograph when he was with the Richmond Braves in 1991. 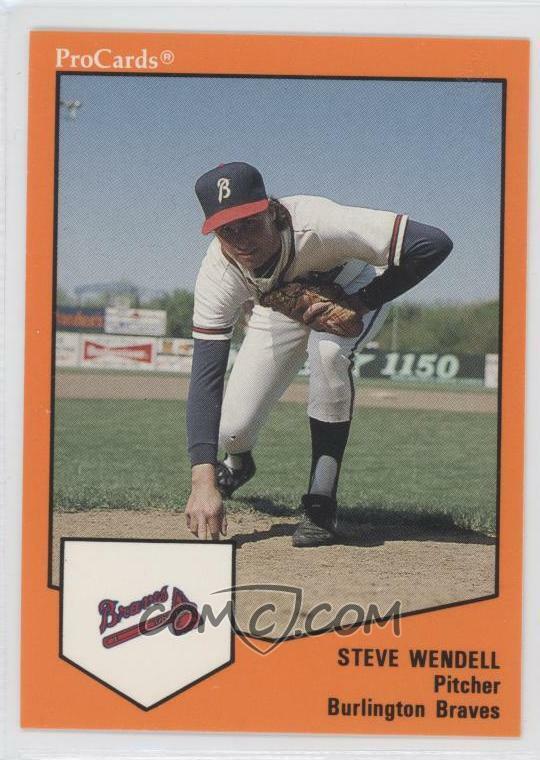 He played for the Burlington Braves in 1989 which was his second professional season but the last one in which he went by Steve. I dig the B on this cap and I kind of want one now. I hope you enjoyed these photos of my Burlington Bees cap as well as the Burlington Astros, Expos and Braves photos and hopefully by next week's post, the Houston Astros will be World Series champions. Oh no, I hope I didn't just jinx them. Turk Wendell, save us! This cap is not one that I'm putting on the Trading Block but please do not hesitate to reach out if you want any other cap from that list and are willing to part with any of the hats on my Wish List. Jacksonville Expos - Fresh Fitted Friday!!! !